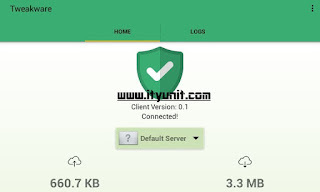 Download this latest Tweakware VPN for android and experience seamless and very easy set up and connect. This improved and custom Tweakware app is an all-in-one VPN package that comes pre-configured with MTN BIS, 2go MB, Etisalat Social Pack, Spectranet bundled settings so that you do not have be configuring each settings for each network data plan. You can also use it to configure the latest 2go MB settings. It has also proven to be very fast and increase the speed of the slow Etisalat social pack. Tweakware also does not make your phone hot or overheated like other VPN though I can’t really say that it is as stable as Psiphon or OpenVPN but it doesn’t consume battery like the others. or Etisalat Social Pack by dialing *200*3*3*2*1*1# (N100). 3. Run the app and locate the Option button at the top right corner, then tap on it. 4. Select “Settings” and go down to “Bundle Settings” the tap on “Select Bundled Settings”. 5. On the pop up that comes up, choose the bundle that you have subscribed to (Either MTN or Etisalat). 6. Optionally for better stability, go to “Network Settings” and go down to “Connection Settings” and check the box beside “Enable Keepalive”. Then for the “Keepalive Interval”, type in “5” and for the “Keepalive Timeout”, choose “5”. 7. Confirm the “Default Server” and tap on CONNECT. 8. After successful handshake and authentication, press the back button and it will connect automatically. 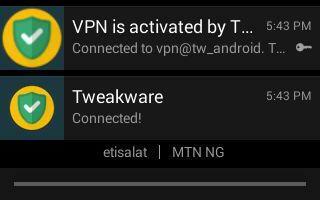 The Tweakware VPN app is much easier to set up than any other tunnel software (Psiphon Handler or OpenVPN) and it powers all apps and opens any browser with better speed both for MTN BIS and Etisalat Social Chat Pack. This is a second method to manually configure it with Etisalat Social Pack without using the preconfigured bundled settings in the simple method above. 1. Run the app and locate the Option button at the top right corner, then tap on it. 2. Select Settings and go down to Network Settings. 4. Optionally for better stability, go to Network Settings and go down to Connection Settings and check the box beside “Enable Keepalive”. Then for the “Keepalive Interval”, type in “5” and for the “Keepalive Timeout”, choose “5”. 5. Confirm the “Default Server” and tap on connect. 6. After successful handshake and authentication, press the back button and it will connect automatically. 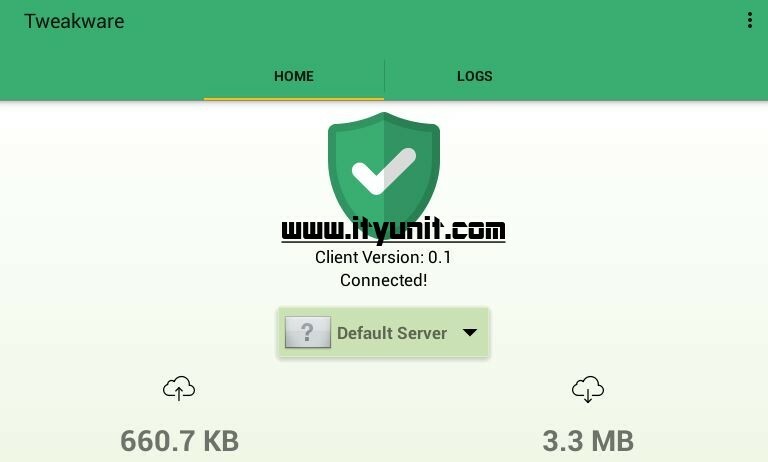 With this Tweakware VPN app, you do not need to be changing your IP or Port or Password, just use the simple method and enjoy the MTN or Etisalat social chat pack cheat blazing at full speed. If ever it disconnects and the connected sign disappear (even when it says “Authentication successful”), just tap disconnect, go to Settings, then confirm your bundled settings (either MTN or Etisalat) and connect again. Yes that is a known issue. Solution is just to disconnect, put your phone in airplane mode for a few secs, then bring back the network and connect again. It must work! Damn it works... lol.. It was network prob at first I guess..
Hey ity unit , im currently finding it difficult to use tweakware, it keeps on saying that "proxy socket connection failed" what can be the cause of this? Hello folks, unfortunately the free usage of Tweakware has come to a stop. settings and enter your account details and then continue your use of Tweakware. don't need to re-upgrade as your account will still contiue to work with the Tweakware app). Sir pls I just stated using tweakwear for android but am still using the free one till tomorrow when I will pay. The problem is that it keeps disconnecting what do I do? You have daily free bandwidth allowance each day. Is your problem still there? please, is it possible to use tweakware on my pc through my modem,,,,if yes, please what do i need to do? Hello ity unit. Want to ask if the download speed using the social me plan is different from that using the chat pak?